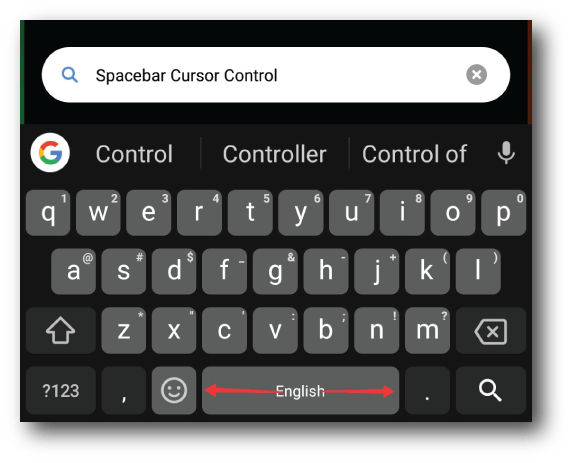 If you are an Android user, then you must be familiar with Google’s GBoard. 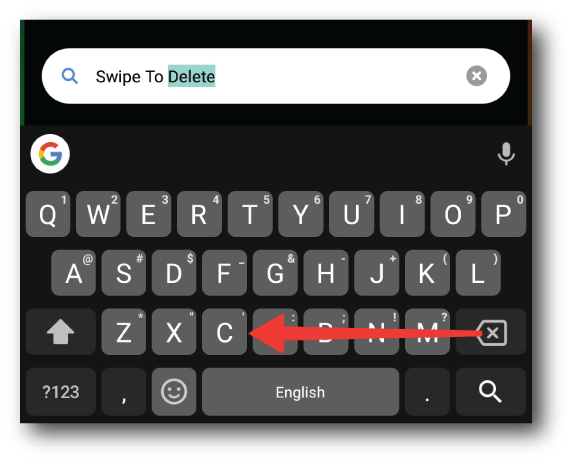 GBoard is the default keyboard app that you must be using on your Android smart phone. (You can also use GBoard on iOS) But do you know that it’s more than your regular keyboard app. Gboard app does packs in a lot of feature, that might come in handy while typing. 1- Google search as you type. If you don’t know, you can actually Google Search directly from your keyboard. Google has made it possible to let you search directly from GBoard app. Just tap on the (G) “Google” icon, it will enable a search bar where you can type your keyword/query & get results in form of cards. This search field works just like a regular Google search, showing you top searches in form of snippets. You can also share your results, either in form of a link or the image of shared card. 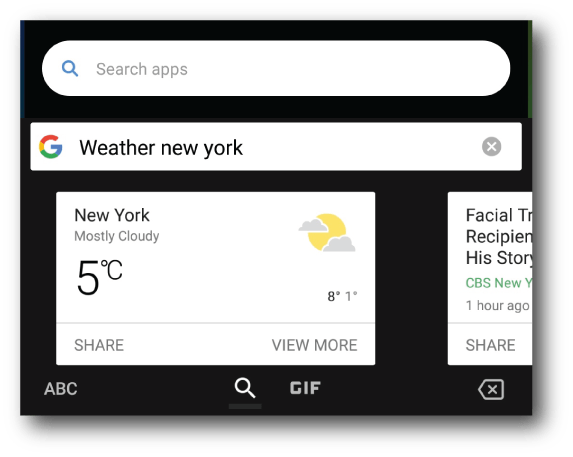 (Image sharing is limited to certain text fields only) However, you don’t need to stick to GBoard for search result, if you find something interesting & want to read more about it, you can do that by tapping on ‘View More‘ to open that search in web browser. 2- Type with your voice. 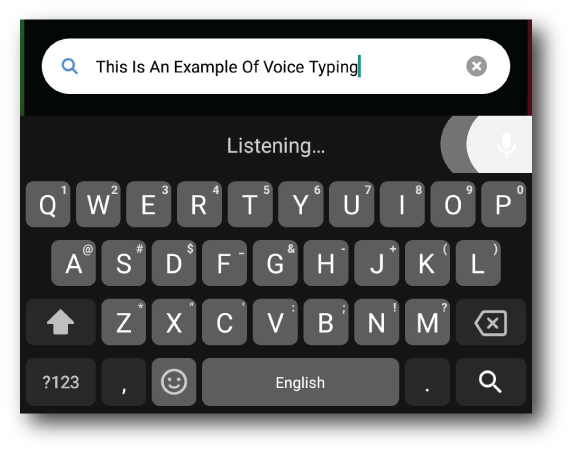 Voice typing is not a new thing, but GBoard has made it more awesome. 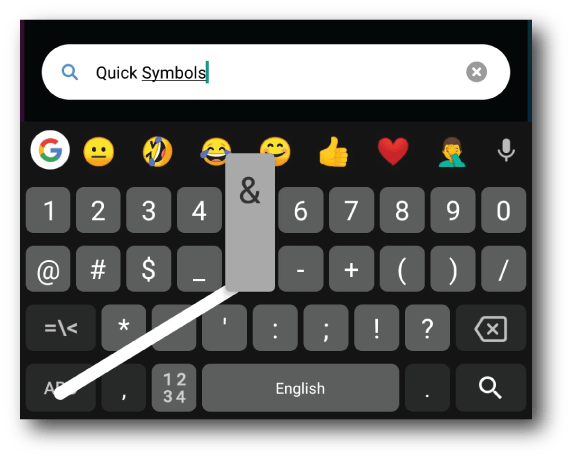 You can now simply tap on the ‘Microphone‘ icon on the top bar of GBoard to start voice typing without annoying overlays on your phone’s screen. Your GBoard will continue to listen to you as long as you speak & convert your speech to text in the text area in real-time. It’s quite fast & effective. Voice typing on languages other than English are bit slower, but they predict speech really fine. If you have Google Translate installed on your smart phone, then uninstall it right away. Google’s Gboard is now capable of translating directly inside the app. Just tap on (G) icon to access ‘Google Translate‘ icon on the toolbar. Tapping on the ‘Google Translate‘ icon will change that area to a text field where you can enter the text that you want to translate. But before that select the language you want your text to translate & the translated text will appear directly in the main text field. 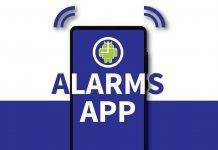 It’s easy & works just like a regular Google translate app. 4- Send stickers & GIFs directly. No doubt that Stickers & GIFs are really popular these days. They are actually a cool way to interact with others creatively, because why not? Sometimes words might not be enough. Earlier we have to use 3rd party apps to get this done, but now GBoard has got you covered. Simply tap on the (G) icon & then tap on Sticker or GIF icon to access them. You can easily search for variety GIFs directly by typing a keyword in the search bar on keyboard. While for stickers, you will see some defaults with an option to add more or get personalized stickers of your own. You can also add BitMoji emojis/stickers to GBoard. Typing numbers on a numpad is not only easy but also faster than typing them on the number row. 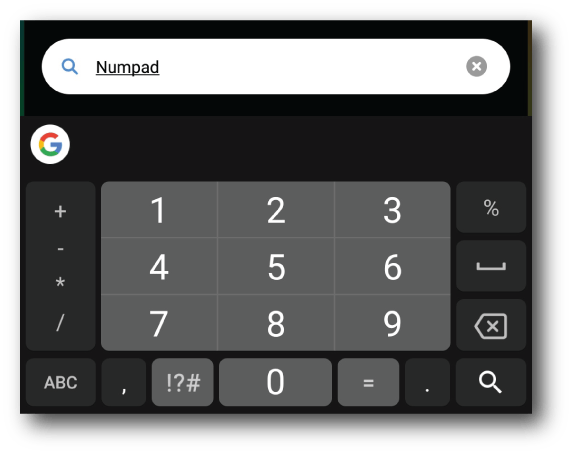 GBoard gives us an option to enable numpad inside the area where we see special characters with the number row. To enable it tap on ‘123?‘ key & then tap on ‘123‘ key besides spacebar to change the area to a numpad. This change is permanent & you will also lose some of the special character. To get back to the previous state, simply tap on ‘! ?#‘, this will disable numpad right away. 6- Enable One Handed mode. 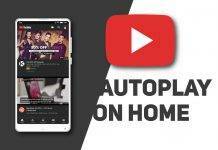 Smartphone screens are getting bigger day by day, which makes it impossible for a user to use their smartphones with one hand. And same goes for the typing experience. 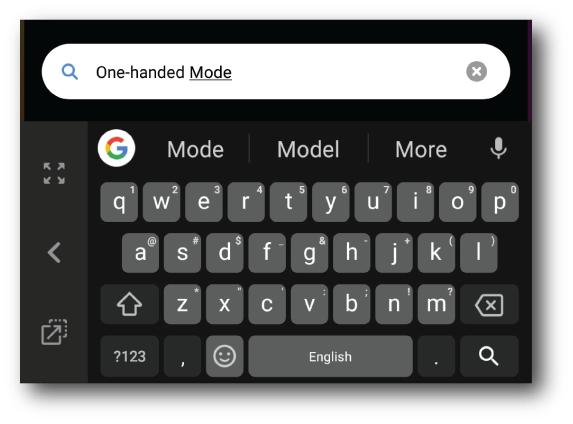 Luckily, GBoard has an option to enable One Handed Mode, which lets you fit your GBoard on the either side of screen within the reach of single-handed typing using your thumb. To enable One-handed mode, simply long press the ‘Enter/Search‘ key at the bottom & choose the ‘One-Handed mode‘. This will shift whole keyboard to one side of the device. You can also change its position to either side of the screen & can also move it up & down as per your ease of typing. Floating keyboard is another addition to enhance your typing experience on your smartphones. Generally, a keyboard can take up to 40% of your smartphones screen, shifting whole content on the top of it. But after enabling Floating Keyboard, you can get rid of that wasted space & move your keyboard anywhere on the screen. You can also resize it as per your own need. To enable Floating Keyboard, tap on (G) icon, then tap on the … dots to access more GBoard widgets & select ‘Floating Keyboard‘ icon. 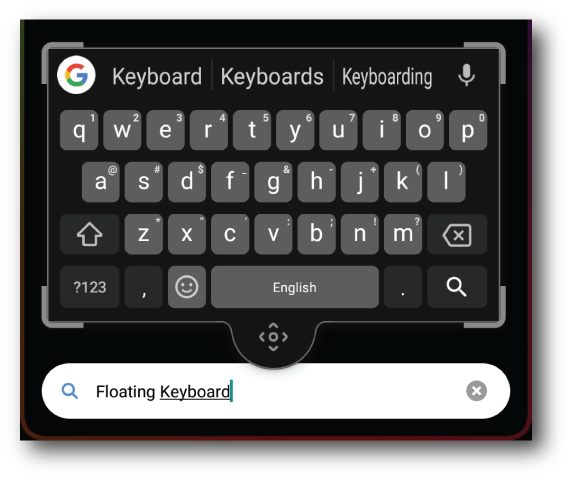 You’ll now see your GBoard floating on your smart phone. You can disable it by tapping on ‘Floating Keyboard‘ icon again. 8- Simplify text editing by Text Editor. 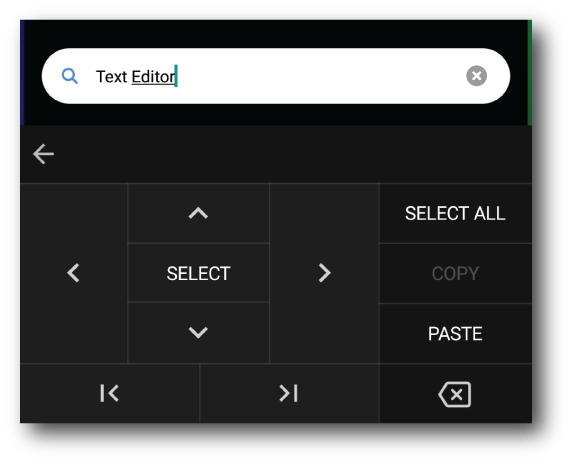 Text editor is a new edition to the Google’s Gboard, to enhance your typing experience. Text editor tool will help in precise cursor control within the written text, in addition to provide you inbuilt cut/copy/paste buttons. Alternatively, you need to long press on the text to see these options. However, It would make more sense, if Google could add clipboard functionality with this Text Editor tool to save more than one copied text in memory. To enable Text Editor, tap on (G) icon, then tap on the … dots to access more GBoard widgets & select ‘Text Editor‘ icon. This will change layout of your keyboard with a cursor controller alongside cut/copy/paste/select all/select buttons. 9- Swipe on Spacebar to move cursor between text. Typing on smart phone screens & making mistakes is frustrating, but correcting those mistakes is more. At times, we might need to edit or delete some words or alphabets, for which we need to take cursor at the end of such text by taping there. Now you can simply swipe left or right on Spacebar to move cursor around the text & edit/delete easily. 10- Swipe from Backspace to delete. Many times we got stuck in a situation where we need to delete certain words or a sentence as we type. The usual way to delete them is by pressing the backspace key until we delete what we don’t want. However, this nifty trick can save you a lot of time that you might waste in deleting the text. Simply, swipe left from the Backspace key until you select the text you want to delete & release your thump/finger. This will delete the entire selected text. Also, if you delete something unnecessarily in the process, you can always get it back by tapping the text excerpt in the suggestions area on the top of GBoard. 11- Long press keys to access special characters. Special characters do carry a significant role when you are writing something. However, not every special character in available on the main screen & to access all the special character, you need to tap on ‘123?‘ key & tap on the character you want to use. 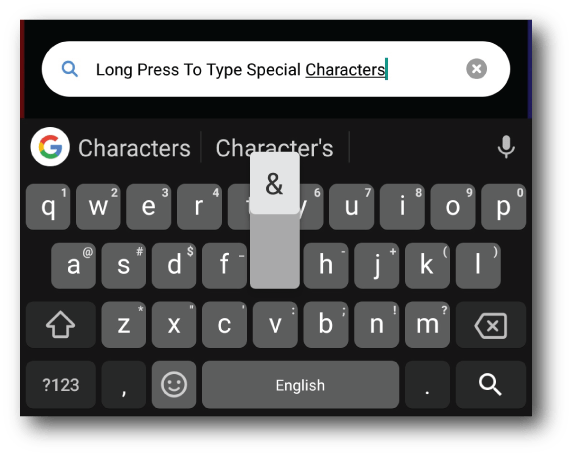 Luckily, there is an option that you can enable to access most special character, just by long pressing a certain alphabet key. Just go to GBoard’s settings, inside ‘Preference‘ turn on the toggle that say ‘Long press for symbols‘. You’ll now see that your keyboard keys are displaying certain symbols alongside the alphabet & long-pressing them will input that particular character/symbol into the text area. 12- Add number row on the top of keyboard. 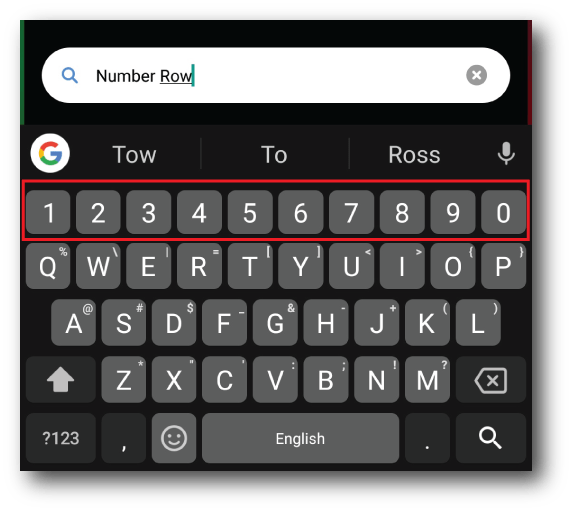 If you are someone who do use numbers a lot while typing on your phone, then this feature might come handy. You can add a separate number row above the alphabets, for accessing number without going to the special key area. To enable number row, go to GBoard settings & there inside preference turn on the ‘Number Row‘ toggle. You’ll now see a number row added to your GBoard. 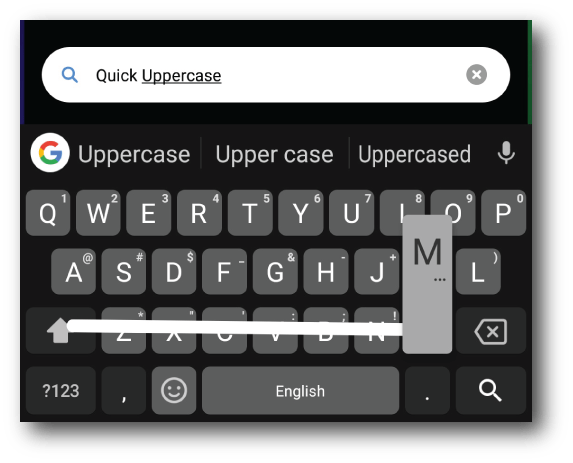 13- Hold & Swipe from ‘Shift’ key to uppercase any alphabet. At times, you might need to type an alphabet in upper case. For which, you have to tap on ‘Shift‘ key, then press the respective alphabet then press ‘Shift‘ key again to get back to lowercase. What if we tell you that you can do the same thing with a single swipe, without needing to press ‘Shift‘ key twice? To do that, simply tap & hold ‘Shift‘ key, then swipe towards the alphabet you want to enter & release your thumb/finger. This will automatically write the particular alphabet in uppercase & switch back the keyboard to lower case. 14- Quick swipe from ‘123?’ key to fast access special characters. If long press isn’t your way to access special characters, then how about using swipe to access those special character? Usually, you need to press ‘123?‘ key to access all special character, tap on the desired one & then hit back ‘123?‘ key to get back to alphabets. Alternatively, you can swipe from ‘123?‘ key to the desired character & release, it will type the character in the text area without leaving the alphabet keys. When whole Android is about customizations, then why would Google leave their GBoard alone. 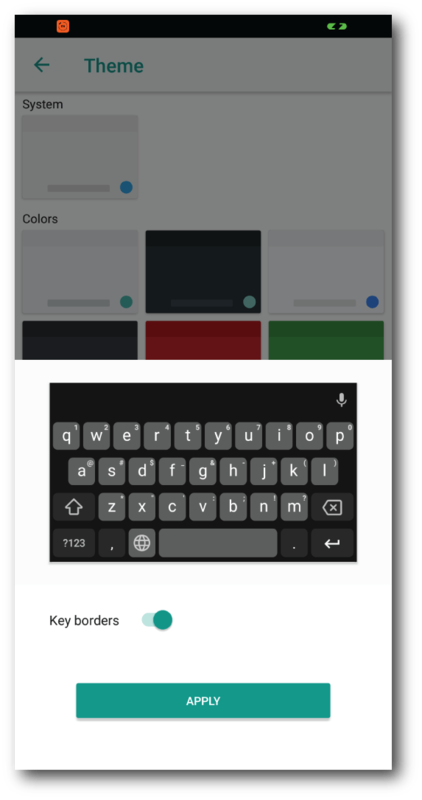 GBoard packs in a couple of customizations which lets you to change the theme (color) of your GBoard, add a custom photo behind keys or add key borders. You can also resize your keyboard. Accessing themes is very easy, simply go to Gboard settings & tap on ‘Theme‘ option, here you will find all theme, select one & enjoy your GBoard. 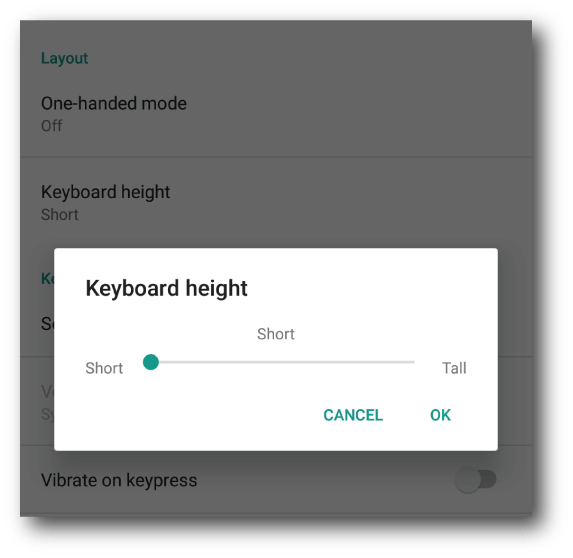 You can also change height of Gboard, you’ll find that option under ‘Preference‘ inside GBoard’s settings. These are tricks that we find worth sharing. 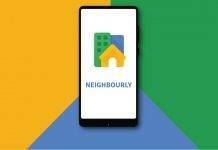 To access all these features, make sure you are on the latest version of GBoard app. However, Google might add more features to make GBoard the coolest keyboard app, that does more than just typing. 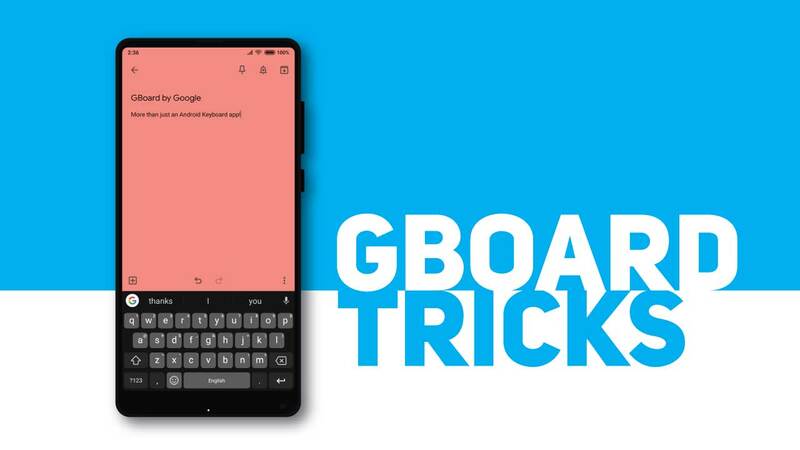 Which GBoard trick do you find interesting? And if you have something that we might have missed, Do let us know via a comment. Previous articleHow to get gesture navigation on any Android phone?